KINGSTON, ON - December 17, 2014 – Queen’s School of Business has announced a new partnership with Venture for Canada (VFC), a growing not-for-profit that connects aspiring young entrepreneurs and Canadian start-ups. As Venture for Canada’s exclusive academic partner, Queen’s School of Business (QSB) will deliver an intensive, five-week boot camp designed to develop an entrepreneurial mindset before participants begin a two-year work placement with a start-up partner. Lectures will be led by QSB faculty with expertise in entrepreneurship and guest speakers from the corporate world. This year, Venture for Canada received nearly 500 applications from recent university and college graduates. Thirty-five Fellows who have demonstrated a passion for entrepreneurship and leadership are chosen each year. Following entrepreneurship boot camp at Queen’s, participants are placed in a paid, two-year fellowship with one of 59 Canadian start-up partners, such as Shopify, 500PX and Kira Talent. Venture for Canada is modeled on Venture for America, which has placed hundreds of recent graduates from top U.S. universities such as Harvard, Yale and MIT. VFC is guided by an advisory board comprised of members of the business and academic communities in Canada, as well as prominent Canadian business leaders, such as Annette Verschuren, Geoff Smith, John Risley, and Ned Goodman, serving as honorary chairs. The first Venture for Canada boot camp begins in May 2015 on the Queen’s University campus in Kingston, Ontario. Venture for Canada’s mission is to provide opportunities for the best and brightest to create dynamic companies for themselves and others, to restore entrepreneurship as a career path for elite young grads and to assist great companies through providing sharp young minds to help them grow. 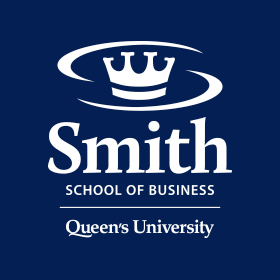 Queen’s School of Business is one of the world’s premier business schools—renowned for exceptional programs, outstanding faculty and research, and the quality of its graduates. Canadian executives regard Queen’s as Canada’s most innovative business school, offering students academic excellence and a superior overall experience. Queen’s School of Business—where Canada’s first Commerce program was launched in 1919—is located at Queen’s University in Kingston, Ontario. The School also delivers programs at locations across Canada, as well in the U.S., the Middle East and North Africa (MENA) region and China.